169 Adams Street. (modern photo shown) This home appears to be simply another older home that sits in a well-established neighborhood. Well, it’s a home with a “past” unlike most houses. Back in the 1850’s Plymouth did not have an actual hardware store. Michael Conner was the first proprietor of such an establishment. Conner hardware was located on Main Street near the corner of Sutton Street (now Penniman Ave). 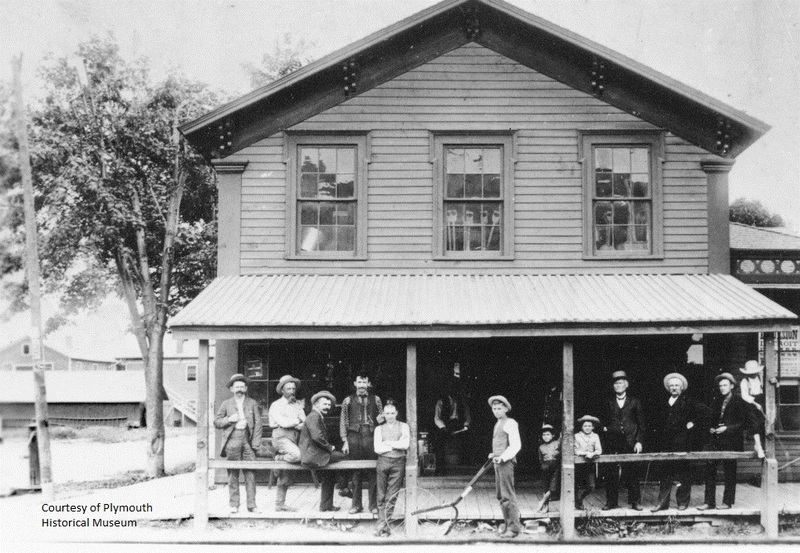 Conner’s became a popular place for folks to gather, sit on the porch and discuss the latest news and gossip. Mr. Conner loved to discuss political matters with the townspeople and had even served as the Village President. In 1884 Michael Conner built a new store. In 1896 Michael had passed away and his son William Conner (who had served as the store manager) was now running the establishment. In 1898 William built the now iconic Conner building that sits at the North West corner of Main & Penniman (where Kilwin’s resides today). As for the old wooden structured store, the assumption was that it was razed and had become history. 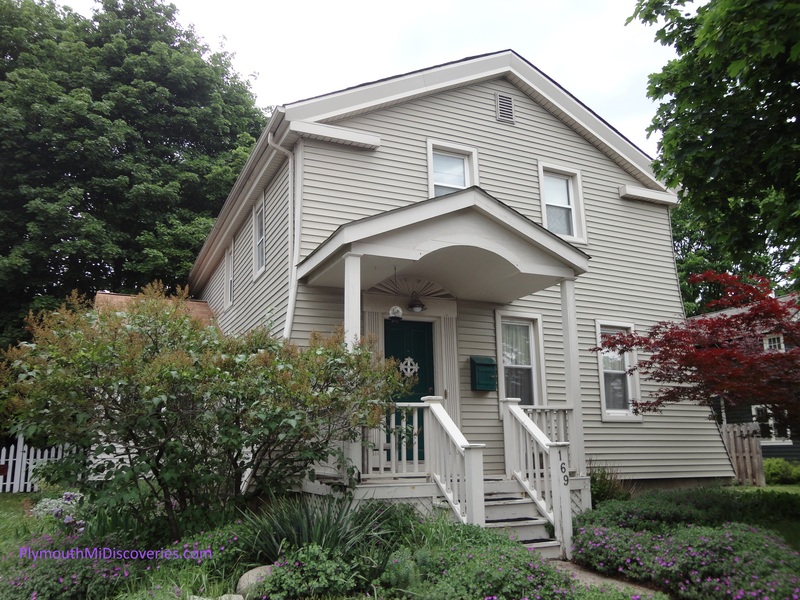 After doing some research at the Plymouth Historical Museum, I stumbled across some documentation showing that the hardware store was actually moved to 169 Adams Street and originally became the home of Mr & Mrs Farwell. Since the move, this structure has seen some significant changes but upon further inspection, its past becomes very apparent. So we are pleased to re-discover this great piece of Plymouth history!